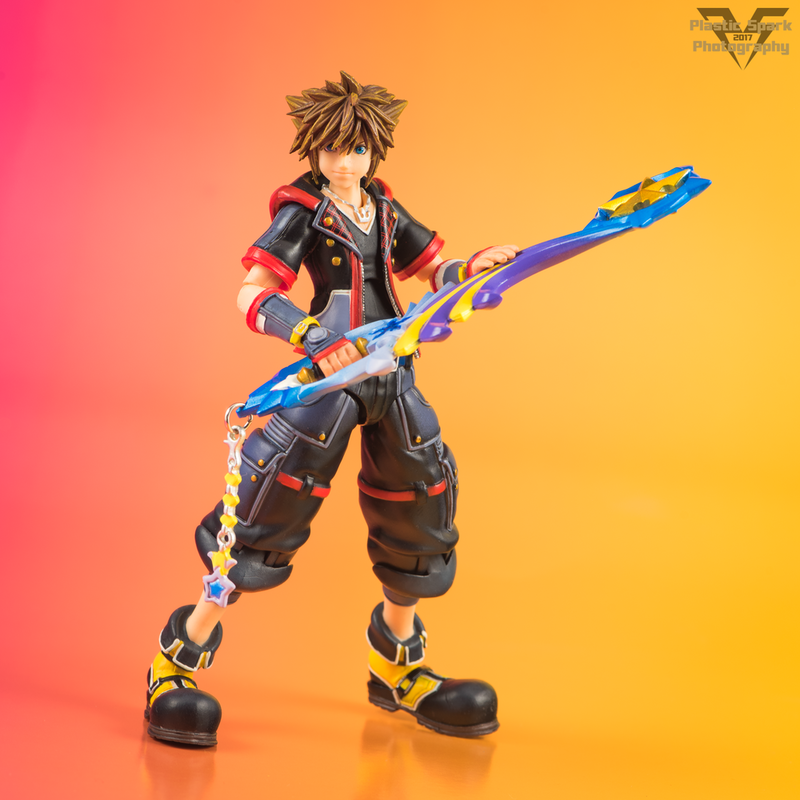 Square Enix is dipping their toes in to a smaller 1/12 style scale with the “Bring Arts” line and their first release; Sora from Kingdom Hearts 3. Despite the game still being in development, this is actually the second fully articulated figure released of this design, with the first being released earlier this year in the larger Play Arts Kai series. I was hesitant to buy into this line given the mixed reactions I’ve had to Play Arts figures in the past but I am very happy to report that this figure feels nothing like its larger cousins. The joints are smooth, not the scary, self-destructing ratchets of the PAK series, and easy to articulate, very similar in function to Figma or S.H. Figuarts. Every joint is easy to use, posing feels natural, and at no point was I scared to push this figure to the limits. The joint system is well engineered, I particularly like how they handled the knee joints, using a simple swivel hidden in the baggy pants to make a very nice almost seamless joint with great range. Every joint has a great range of motion and I can’t think of a single piece of articulation that the figure is missing. 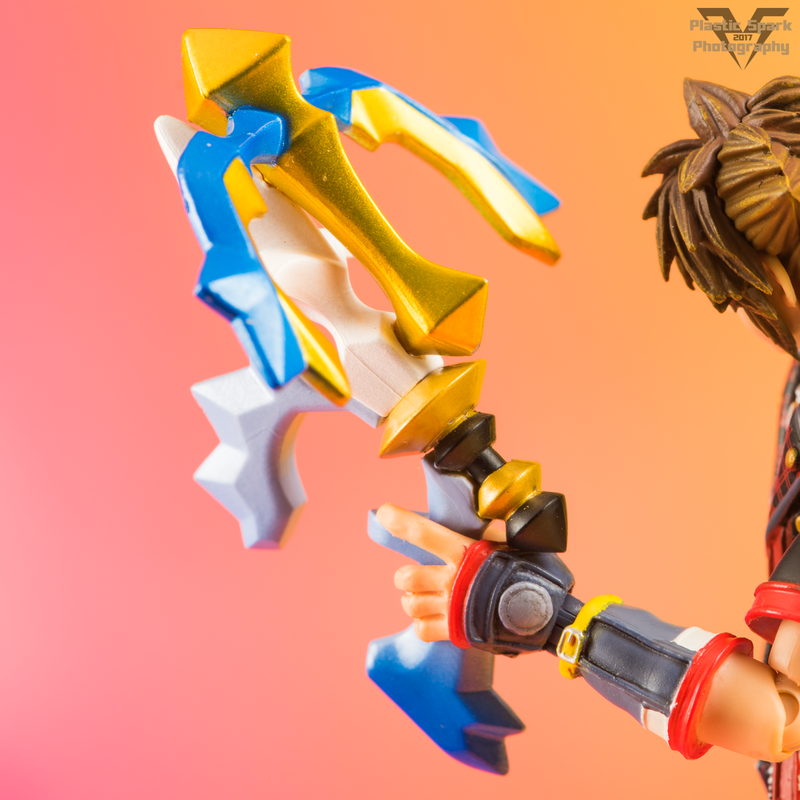 Detail work on Sora is incredible given his relatively small size, with a nice mix of what looks like colored plastics, hand painting, and machine applied patterns. The eyes even have a gloss coat over top to add a sort of wet look, adding a nice sense of realism to portraits. There are a few noticeable areas where some paint slop has occurred but this is no different than similar figures from other companies in this price range. Sora’s accessory load out is fairly basic but effective. 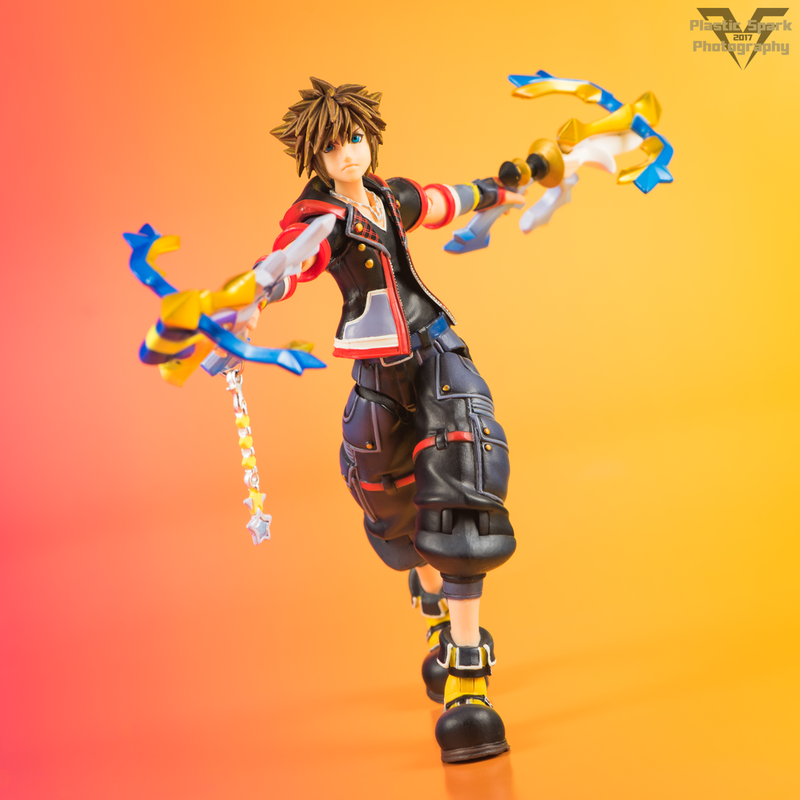 He comes with a new shooting star themed Keyblade, and what appears to be dual asymmetrical crossbow style ranged weapons formed from the same Keyblade, both with lovely hanging keychains. These weapons have been featured in the trailers for Kingdom Hearts 3, however since the game hasn’t been released yet I don’t even know the official name of this Keyblade or its long range variation. 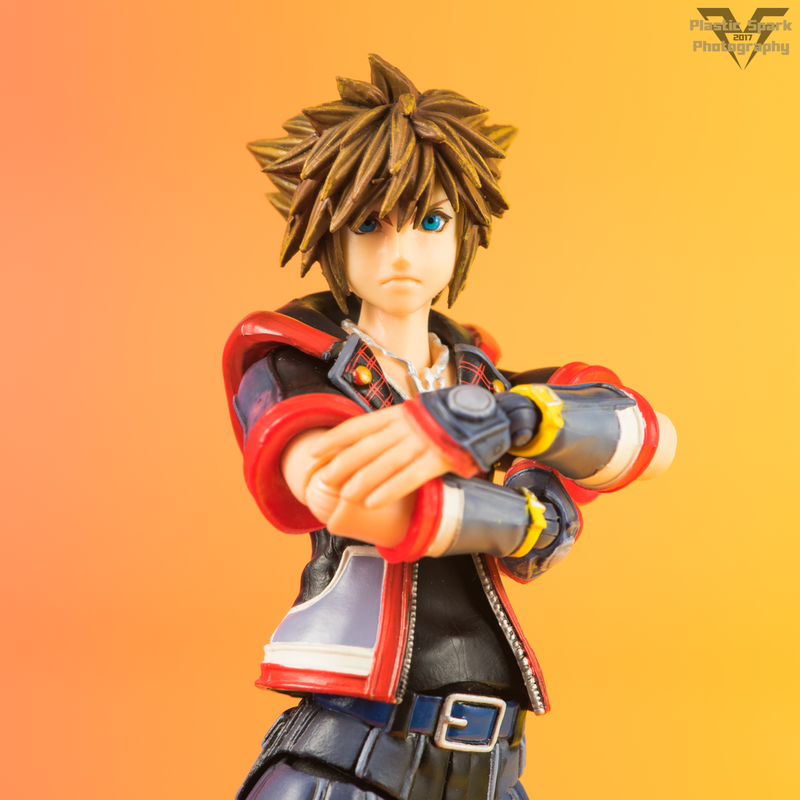 Sora also includes a swappable face plate with a more serious expression, and multiple replacement hands. 4 matched pairs of closed fists, standard holding hands, trigger finger hands, and relaxed hands. 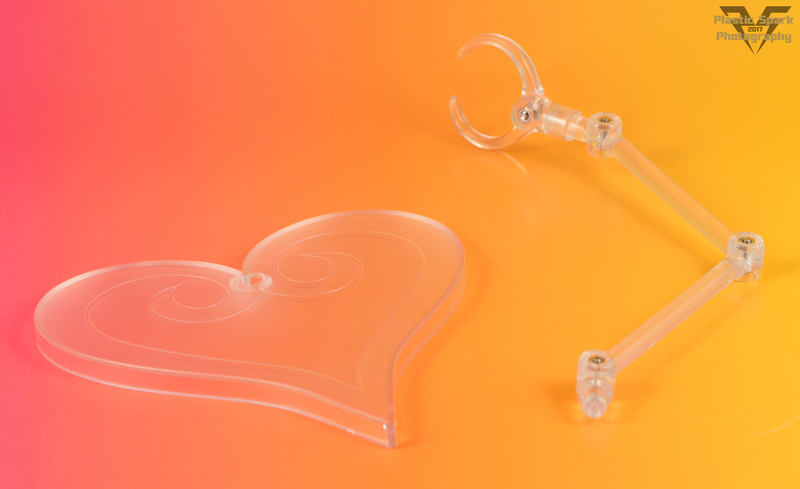 The final accessory included is an articulated figure stand, with a gorgeous heart shaped base. Overall this is an above average package for the price but I feel like they missed the mark with a few of the accessories. 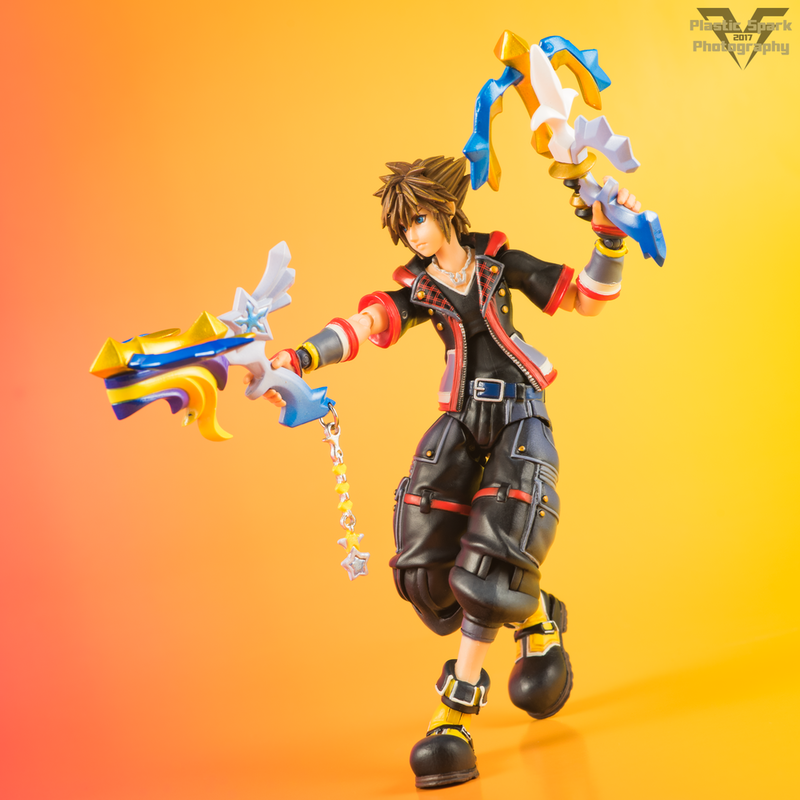 Given that this is the first figure in this scale I think the inclusion of a standard Kingdom Keyblade would have been a welcome addition. The included face plates are well produced but I feel they don’t represent the character very well. A shouting/attacking face instead of the more serious expression would have been more appropriate, and the exclusion of a large smile/grin is downright criminal. 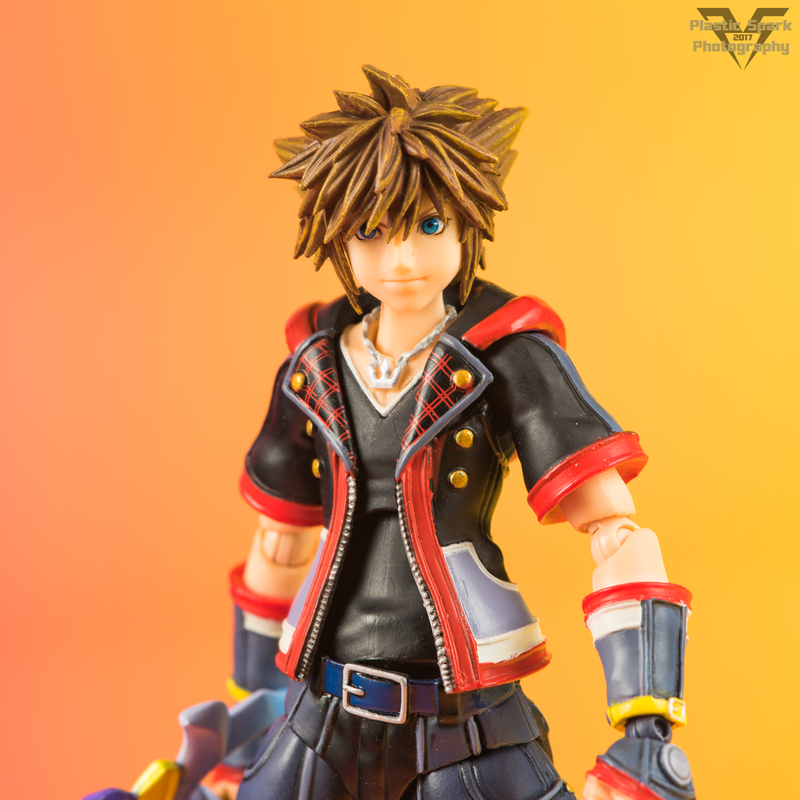 Sora has always been shown to be an overly happy character, and I don’t feel that comes across with this figure. He's not your typical angst ridden, spikey haired JRPG hero, he is an actual, literal ray of sunshine that will force even the most jaded and emotionally stunted nerd (Me) to crack a smirk while playing through his adventures. 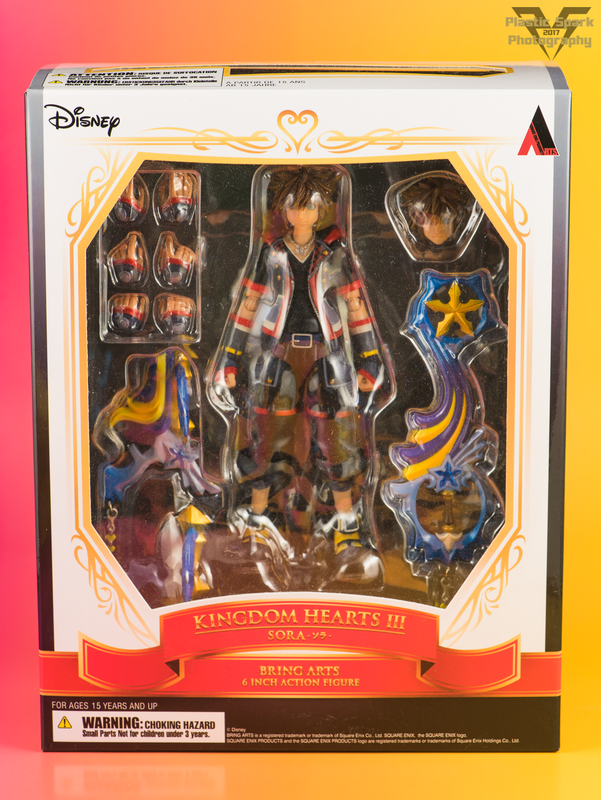 That is my only real issue with an otherwise phenomenal first outing for Square Enix’s new Bring Arts figure series. I truly hope we see more of their iconic figures released in this size and style! I’m looking forward to seeing how the Bandai S.H. 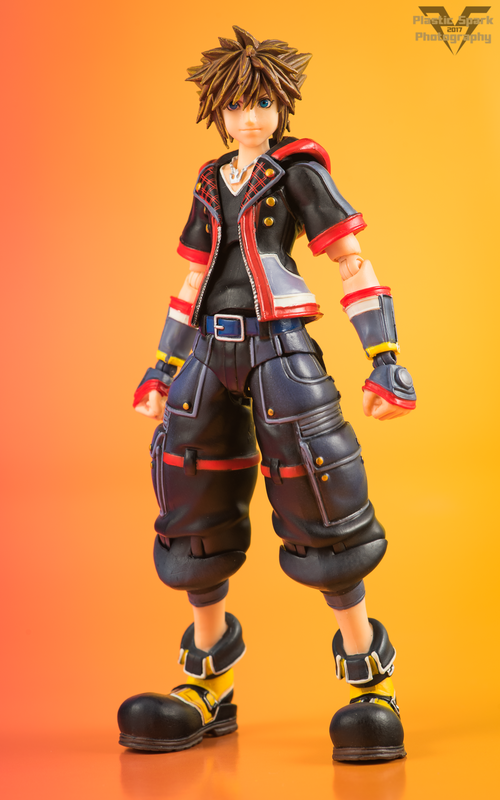 Figuarts version of Sora coming later this year compares to the Bring Arts version as well. 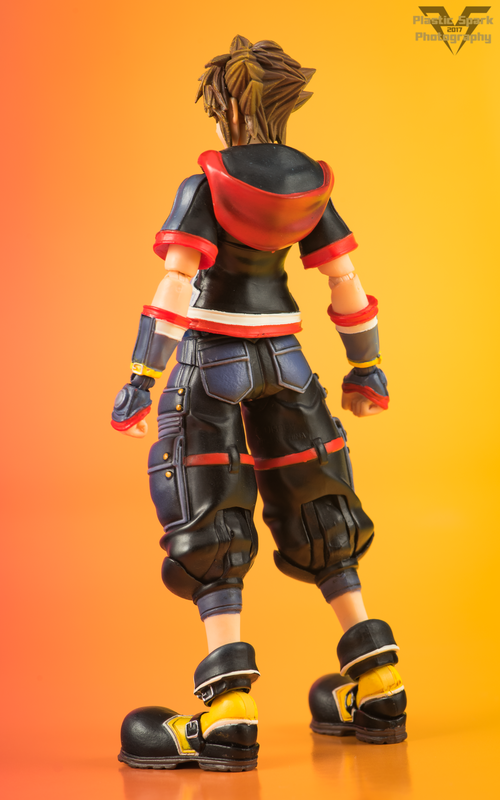 Figuarts usually brings their A-game so I’m expecting to see a very comparable figure, though in a different style as Figuarts is producing the Kingdom Hearts 2 design of Sora. 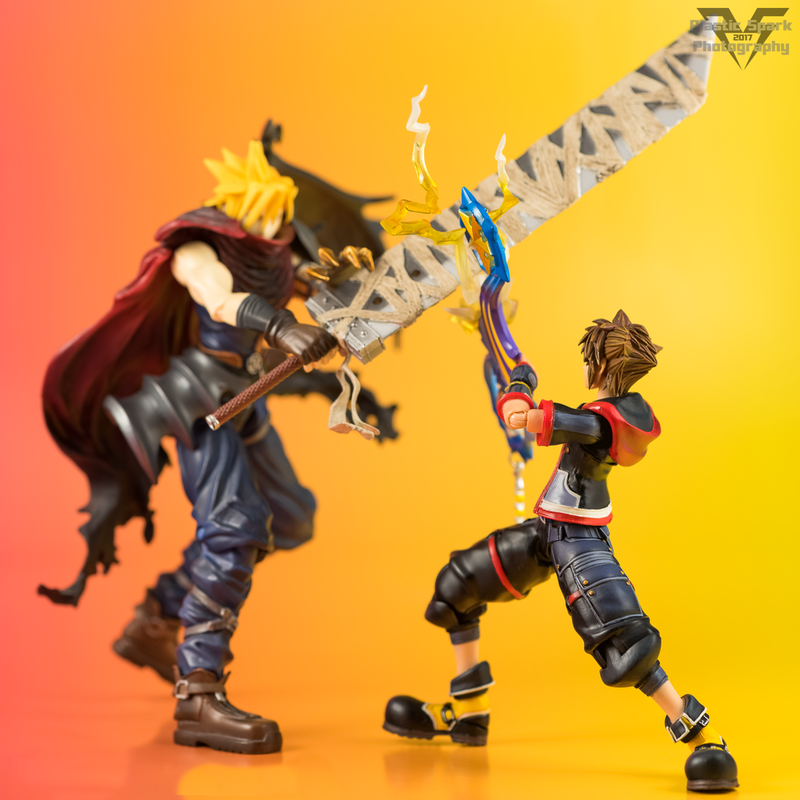 I am very hopeful that successful sales of both of these figures lead to more Square Enix figures getting the Bring Arts, or Figuarts treatment. A Squall Leonhart and Cloud Strife in this size and quality would probably send me into a blissful coma that I may never wake from… take me from this world oh mighty one and leave me in a realm where swords and hair both defy physics! TAKE ME NOW! I guess I’m still here… Ah well, there’s always more toys to look forward to! As always thanks for checking out my review and photos, and feel free to leave a comment with your thoughts and opinions on this figure! Let me know what characters you hope might be produced in the Bring Arts style! Don’t forget to check us out on Facebook as well!